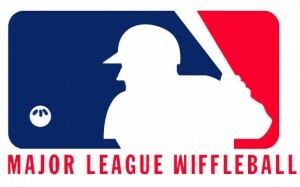 Our brand new indoor Wiffle Ball League will begin play this November with the inaugural season! This medium pitch league will be open to player’s ages 9-13, and 14-18 teams will consist of either 4 or 5 players. Games will be played indoors at Guerilla Baseball with all of our tunnels opened up into one large playing field! Registration is now open! The registration deadline is November 10th for the November/December league! Space is limited, call us today to register. Teams will not be put on the schedule until they are registered and paid in full, no exceptions. Spots will be filled on a first come first serve basis. All 5 players may bat each inning, however only 4 play in the field each inning. Teams may consist of either 4 or 5 players. 2 strikes and you are out, walks will take 5 balls. There will be a 4 week regular season with the final week being a playoff. Teams will play a minimum of 2, 4 inning games per night. League winners will receive free entry into our tournament in the summer. All games will be played on Saturday nights, the first league runs Saturdays in November and December Starting Saturday November 22nd and finishing up Saturday December 20th. All games will be played between 5:30pm and 9:30 pm. Game times will be determined by the number of teams in the league. A full schedule will be available before the season begins! Cost is just $199 per team of either 4 or 5 players. Team fees will include, a 4 week regular season with 1 week playoffs, score keeper, and prizes.